Lock in a great price for Cozy Hostel – rated 8.3 by recent guests! Excellent location. Their personnel is beautiful, and they do all for you to enjoy your stay. Their tours are at fair price compared to other offers, they are safe and punctual. The room was big with comfy beds, they have computers you can use, and tv with Netflix. I really like the treatment of the staff, very nice, sweet and helpful! The best place we've stayed in Peru so far! Good location close to main square; the staff was very helpful in organising tours and onward transporation; good extras (like laundry and movies); the Wifi was very reliable. The beds were warm and comfortable and one of the employees there knew English well. Perfect location. Comfy beds with heavy blankets. Great staff! Free locked luggage. They arranged our bus for us as well! Quiet cozy! 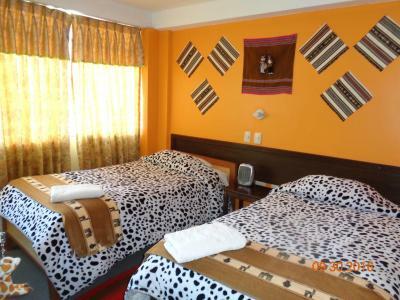 A great place to stay in Puno. Aptly named; this hostel was very cozy indeed. The female dorm was spacious and had four super-comfy twin beds -- no bunk beds, yay! -- and a piping hot shower with great water pressure. Warm blankets, and even space heaters on request -- rare for Peru. The breakfast was generous and delicious. Great common room for hanging out, watching Netflix, etc. Really fast WiFi that worked well in the rooms. Individual reading lights. Mirrors, drawers and cupboards to store stuff. Even enough electrical outlets to charge phones by the beds! Attention to detail -- it matters. The staff were really friendly and could book just about anything -- floating island tours, buses, transfers to the airport, etc. They even arranged for a driver to meet my bus and take me to the hostel for a small fee. I only stayed one night, but it's the kind of place I wish I would've stayed longer. 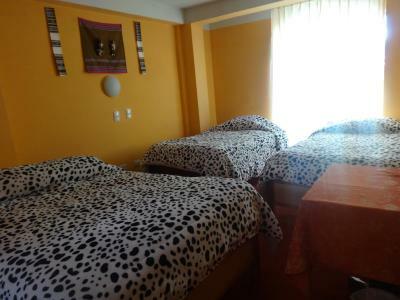 Cozy Hostel is located in Puno's city center, 8.1 mi away from Titicaca Lake. Free WiFi access is available in the entire property. A complimentary breakfast buffet is served daily. Guests are provided with complimentary tea throughout their stay. Rooms at Cozy Hostel are configured as either single, twin, double, triple or dormitory rooms, all with private bathroom facilities with unlimited hot water. Bathrooms include free toiletries and towels. Additionally, rooms are equipped with a TV with cable channels and lockers. Pets can stay for free at this property. At Cozy Hostel guests are invited to make use of the communal facilities, which include a fully-equipped kitchen and a shared TV lounge. The 24-hour front desk is proficient in english and includes a luggage storage service and a safety-deposit box. Additionally, Cozy Hostel also has a tour desk, providing guests with information about the city and helping to arrange a variety of tours. Laundry services are available at an extra fee. 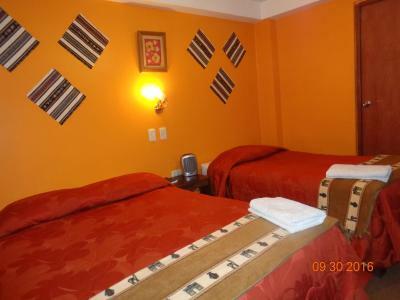 Central Market is 650 feet from Cozy Hostel, while Main Square Plaza de Armas is 1,000 feet from the property. 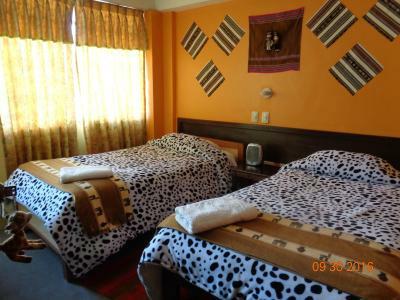 This is our guests' favorite part of Puno, according to independent reviews. 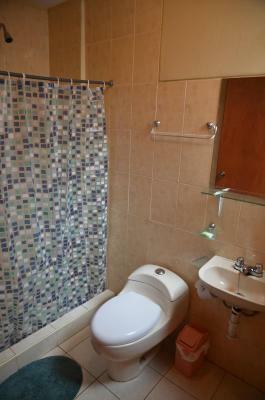 뀐 Located in the top-rated area in Puno, this property has an excellent location score of 8.7! This double room has a seating area, dining area and DVD player. Private parking is available at a location nearby (reservation is not needed) and costs USD 5 per day. 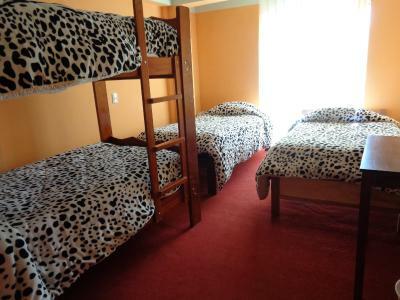 This twin room features a DVD player, microwave and dining area. 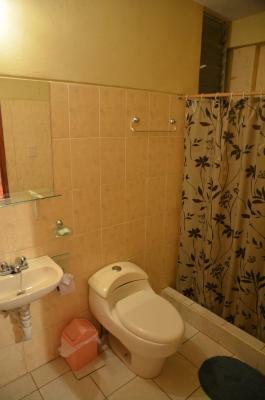 This triple room features a balcony, kitchenware and microwave. This dormitory room has a kitchenware, microwave and DVD player. This dormitory room has a balcony, microwave and kitchenware. This dormitory room features a DVD player, microwave and dining area. COZY HOSTEL GUARANTEES YOU A PERSONALIZED SERVICE TO MAKE YOUR STAY PLEASANT AND SATISFYING. WE ATTEND YOUR NECESSITIES AS SAFETY, CLEANLINESS, COMFORT, QUALITY OF SERVICE AND EXCELLENT TREATMENT. WE OFFER THE BEST SERVICE AT THE BEST PRICE! WHERE YOU STAY IS YOUR HOME!. Please note the complimentary breakfast buffet is available from 06:15 to 09:00. The showers were REALLY hot, the beds had many sheets and were super comfy! The staff was outstanding friendly! Only one day we have some issues with the hotness of the water. Front desk people always helpful and ready for solving issues and questions. Passangers were always ready to share a good talk or experience. It was the first hostel in my trip to Peru (out of 4 to this point) that allow the passangers to use the kitchen. Nice stay for a night, easy check-in and good breakfast - and free Coca tea all day long! Small stuff was not perfect. Like there was not a trash box in the room. The shower was not hot but not cold. The bedroom and bathroom furnishings were rough around the edges, whilst only a limited sprinkle of hot water was available. 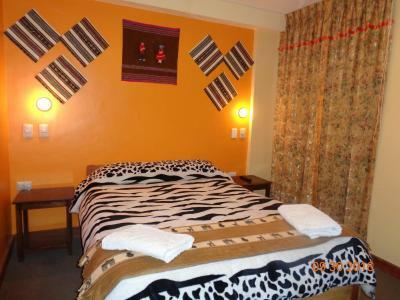 The hostel is centrally located and offers a comfortable bed with complimentary breakfast as part of the deal. Wifi wasn‘t very fast. Shower was eather cold or hot, with some practise I was able to figure it out. Facilities are pretty basic. Very noisy hostel as there is no sound insulation between rooms and reception. Friendly staff and a great location. Sometimes it was difficult to communicate in English? Location close to the square. Friendly staff, they helped me upgrade my room without any hassle and also helped me to organise a tour for the next day.